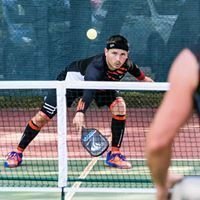 Head Pickleball Coach, North Vancouver Pickleball Academy. Badminton Head Coach, Team BC NAIG 2017. Coach Developer with Badminton BC Presently. Currently coaching top junior players, as well as players of all ages and skill levels. 1ST Place Singles, 2ND Mixed Doubles & 3RD Place Men's Doubles 5.0 Alberta Provincial Pickleball Championship 2018.